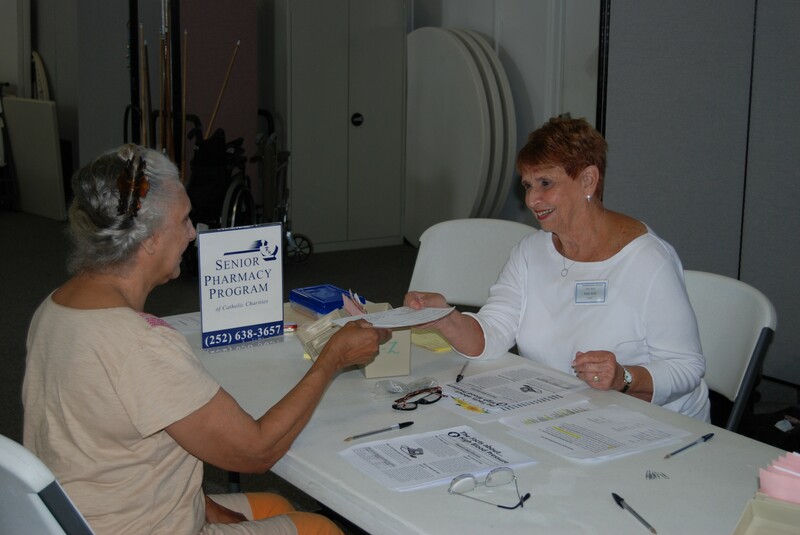 The Senior Pharmacy Program (SPP) of Catholic Charities assists low-income seniors, ages 6O and over, with prescription costs and limited medical supplies to help manage their chronic illnesses. Seniors must meet income standards (generally up to 2OO% of the poverty level); must not be eligible for Medicaid; have no private insurance for prescription costs; and have a chronic illness covered by the Senior Pharmacy Program such as diabetes, glaucoma, chronic obstructive pulmonary diseases, high blood pressure, heart disease, cancer, acid reflux disease, arthritis, or clinical depression. This program is only available in the Coastal Region serving the counties of Carteret, Craven, Jones, Onslow, and Pamlico. Vouchers are distributed at sites in the following cities: Alliance, Morehead City, New Bern, Trenton, and Vanceboro. For more information about the program, please contact the New Bern Office by phone at 252-638-2188.